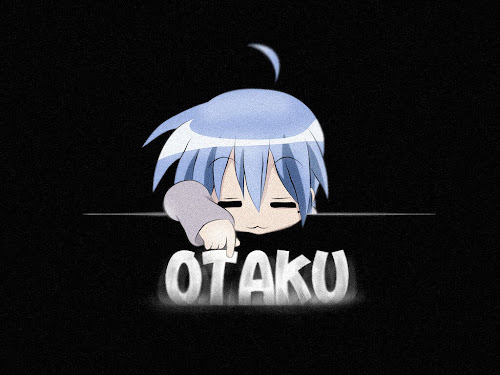 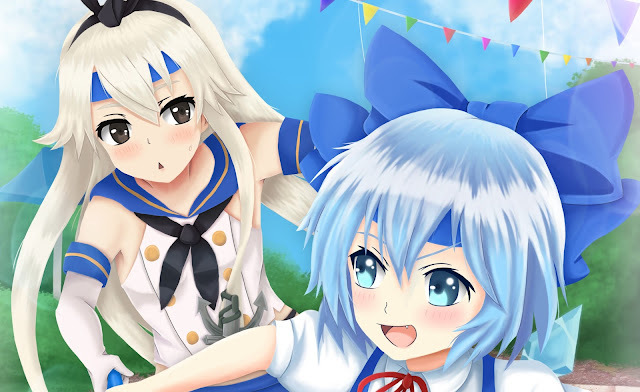 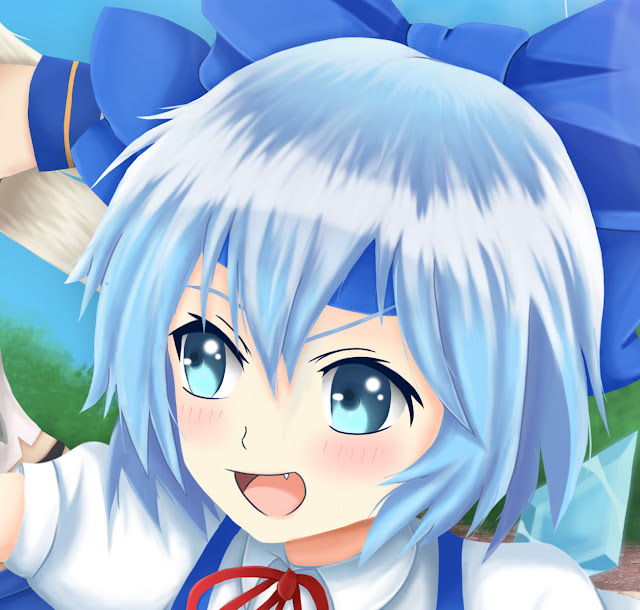 The fastest ship, Shimakaze and the strongest fairy, Cirno having a relay race together. 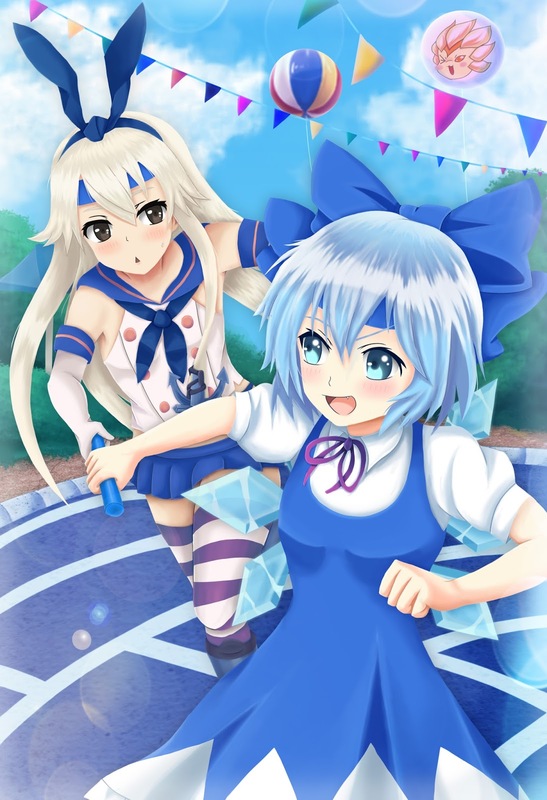 The theme for this art is sports day. 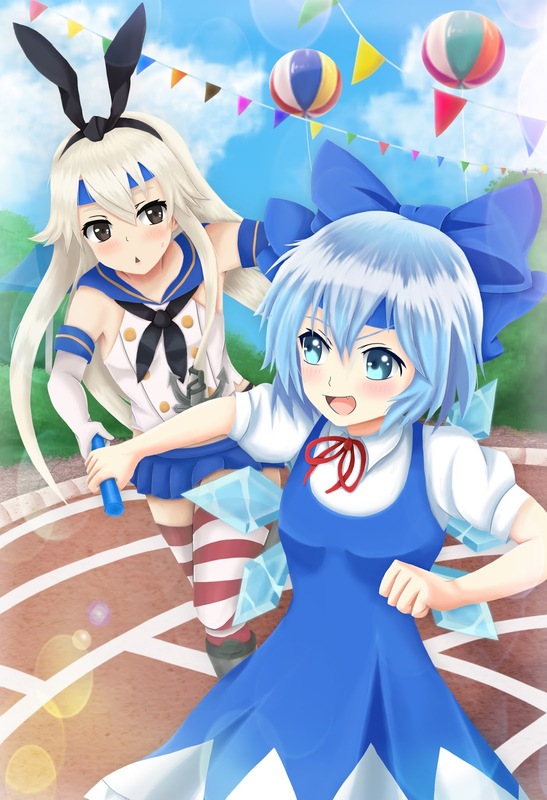 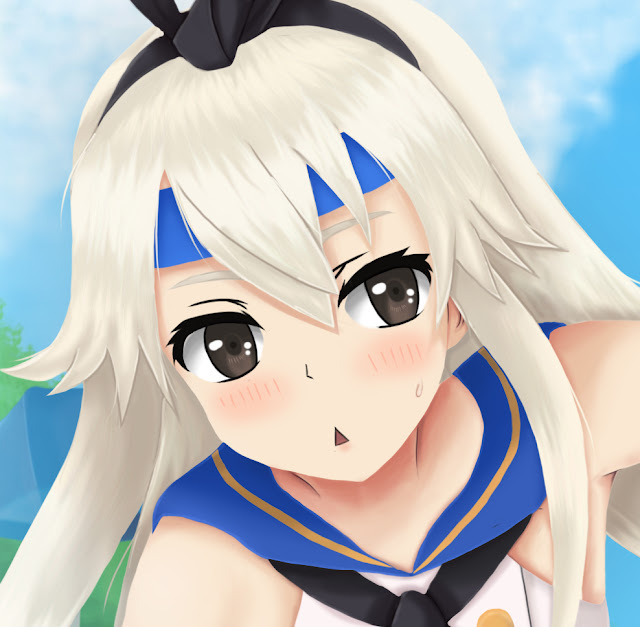 Both of our beloved characters are enjoying the race, as Shimakaze passing the baton to Cirno and aiming straight to the finishing line!